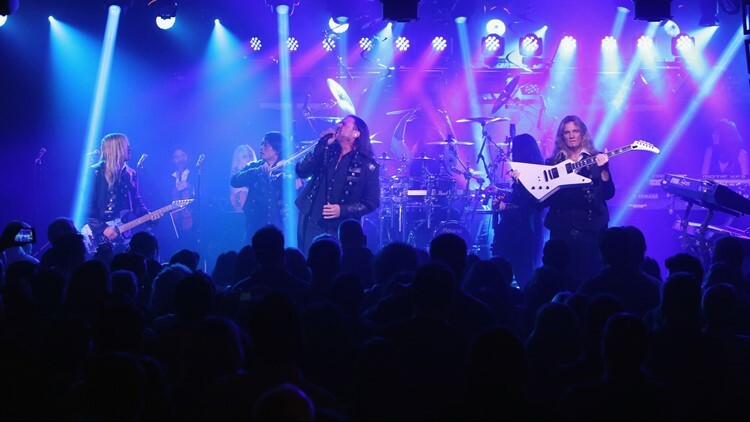 NEW YORK, NY: Chris Caffery, Roddy Chong, Joel Hoekstra and members of Trans-Siberian Orchestra perform onstage during an exclusive performance at The iHeartRadio Theater in New York at iHeartRadio Theater on November 17, 2014 in New York City. They last performed last December. ST. LOUIS — The sound of Christmas is soon to be back in St. Louis. Well, technically, the sound of the Trans-Siberian Orchestra. The themed rock band will be in St. Louis on Thursday, December 6 at the Enterprise Center for their Christmas concert. Tickets for the show will go on sale Friday at 10 a.m. through TicketMaster. Prices will range in price from $37 to $87. The Trans-Siberian Orchestra last played in St. Louis the day after Christmas in 2017.